Wild Care Executive Director Stephanie Ellis and her staff rehabilitate hundreds of injured and stranded seabirds every fall and winter. 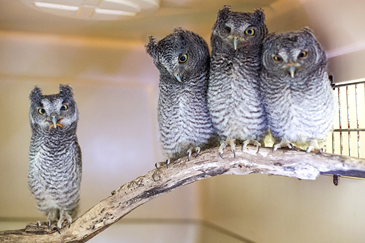 They are some of the most challenging birds to care for in captivity. Get a behind-the-scenes look at the care required to get these birds ready for their reintroduction to the wild, and hear stories of the challenges and successes encountered along the way. This program is co-sponsored with Wild Care, Inc.